Some analysts predict the cannabis market could be one day worth $500 billion. With big box retailers like Walmart (WMT) now conducting retailing studies in the space, the reality of cannabis-related products (i.e. nothing with THC) hitting shelves could happen fairly quickly. 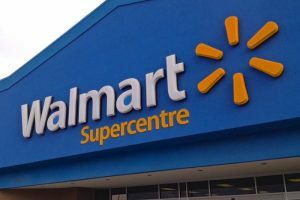 And Walmart is just one of the latest mainstream consumer brands to announce its interest in cannabis products. Coca-Cola Co. may be in talks with Aurora Cannabis Inc. (ACB.TO) to develop cannabis beverages. Then there’s the deal made between beer giant Constellation Brands (STZ) and Canopy Growth Corporation (WEED.TO). This deal saw an additional CAD$5 billion investment from Constellation Brands put into Canopy. Constellation Brands put CAD$245 million into the company last year, too. Molson Coors Canada Inc. also announced a partnership with The Hydropothecary Corporation (HEXO.TO), one of Canada’s leading cannabis producers. The pair plans to unveil non-alcoholic, cannabis-infused products for the Canadian market following cannabis legalization. For consumer and retail expert Tony Chapman, the focus is on Amazon right now. Whatever Amazon does “Walmart will probably follow suit but it will be a while until they gets aggressive in retail about [cannabis],” Chapman tells Yahoo Canada Finance. Chapman also points to the medical cannabis space, which could prove to be very lucrative and an easier sell than recreational or adult consumption products. “Look at Shoppers Drug Mart and their place in medical cannabis,” says Chapman, referring to Shoppers being a licensed medical marijuana producer. “But also Ontario will have independent private run retailers come April 2019. These shops will not only sell cannabis but every accessory they can make money off of. They can sell cannabis, some oil, papers and bongs — can’t sell edibles yet though. “You also have to think about zoning too, you know that specialty shops aren’t close to schools, for example,” adds Chapman. The other snag for traditional brick-and-mortar retailers is that in Canada, medical cannabis cannot be sold in pharmacies. “The only way for patients to access medical cannabis is via mail delivery, after purchasing online or over the phone. Respecting that model, we will share more information about our plans in the coming weeks,” Catherine Thomas, senior director of external communications at Loblaw Companies Ltd. (owner of Shoppers Drug Mart) explains via email. Shoppers Drug Mart has received a product license from Health Canada, but there is a second part to the process, the sales license, that is still needed to be secured. “We’ve signed a number of agreements with Canadian LP’s (Licensed Producers) who will provide us with medical cannabis. The second is the sales license which will then allow us to provide it to our patients,” explains Thomas, who says there are no immediate plans to produce cannabis in-house. How cannabis and retail will come together remains to be seen, however not having a cannabis strategy in place right now could be a big problem says Jesse McConnell, CEO of Rubicon Organics. “If big CBG, big alcohol or big tobacco companies don’t have a cannabis strategy they’re going to be in a lot of trouble in the future, that’s how disruptive this is,” he tells Yahoo Canada Finance. Rubicon Organics is an organic cannabis company with operations in Canada and the U.S. (currently in California and Washington) and has developed one of the first large-scale, high tech, certified organic greenhouses in the world, according to a statement on behalf of the company. Rubicon just listed on the Canadian Securities Exchange as of October 10 (ROMJ.CN). Lisa Harun is the co-founder of Vapium, which designs and manufactures vaporizers for both the medical and recreational markets. She notes the company is also in talks with these “mass retail companies” but did not cite any specific names. Harun did note that mass market expansion is welcome for the company that’s been in business for six years and has sold products in 20 countries. Cannabis retailing isn’t just about the big distributors and Harun points to companies like Greenlane and the head shops they supply, explaining they are all a “big part of the past and of the future” of selling and marketing cannabis. “The depth of product knowledge that you find in these shops is outstanding and we think they deserve to continue as part of the cannabis ecosystem. We’ll certainly continue to work closely with them as well as new retailers,” Harun says. One of the concerns facing this market and its mounting convergence of consumerism is that regulation in Canada differs province to province. Each of the 10 provinces has their control over how cannabis is marketed, distributed and so on, which makes it tricky to monitor without a uniformed approach country-wide. “It’s certainly interesting ” Harun says, referencing the varying cannabis guidelines set by provinces. “It’s a challenge that in Canada the provinces have to come up with different plans for retailing cannabis — from complete government control to purely private models and a number of hybrids in between. “Everyone is trying to get a position on the Monopoly board not quite knowing how the consumer is going to go around it,” says Chapman. There’s also been a push from “clicks-to-bricks” operations, where digitally native companies are moving offline to further connect with their customers, offering services to encourage the opening of brick-and-mortar shops. McConnell thinks it will take a year or so to really see the legal market shifting over and maybe two years for it to stand up to the black market. The stigma, however, is what McConnell thinks is going to be wiped away quickly. “The stores aren’t going to be grungy and weird when you go in them. It’s going to feel different, sophisticated” he adds. “Every big company has been worried about reputational risk,” he says, but “it’s just going to be business as usual. The supply chain is going to shift and new products are going to emerge and new interest will be generated by those that didn’t want to engage in any civil disobedience beforehand. “There’s already dispensaries in major cities selling every kind of derivative you can possibly imagine, you’re not breaking new ground here. Let’s test the products and make sure they’re safe and secure with a regulated supply chain and allow the consumer to choose what they think is appropriate for product use. Consumers are already there, we’re playing catch up,” says McConnell. Recreational marijuana for adults may now be legal, but medical cannabis may be the route taken by companies moving forward. The chances of seeing more medical cannabis specialty shops in comparison to products being sold at a Loblaws is where Chapman sees the legal cannabis industry headed. “I don’t think Loblaw would ever be in the business of selling legal cannabis — they’re not just going to start selling in grocery stories, too many people have their own licenses and more will come, but think about medical cannabis. If I’m prescribed medical cannabis and I go every two weeks to fill my prescription, I’m making that margin on the drug and I’m also making margin on the prescription, for filling that prescription. This is smart business,” he says. “Loblaw expects to have our 10 locations open on October 17. These are all in Newfoundland, in small, existing tobacco shops, adjacent but separate to our Dominion grocery stores,” says Catherine Thomas on behalf of Loblaw Companies Ltd.